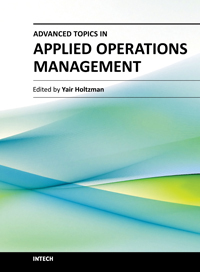 This book creatively demonstrates a valuable connection among operations strategy, operations management, operations research, and various departments, systems, and practices throughout an organization. The authors show how mathematical tools and process improvements can be applied effectively in unique measures to other functions. The book provides examples that illustrate the challenges confronting firms competing in today's demanding environment bridging the gap between theory and practice by analyzing real situations. Management, Project Management, Risk Management, etc.